Just wanted to share a little bit of a humorous take on the family. We enjoyed a nice mother’s day and hope you all did too. Garage, dirty bed sheet as a backdrop, one clamp missing, chainsaw, bins… you know, like as it happens with a kid and another on the way. Inspired by the works of Dan Winters and Brad Trent at Damn Ugly Photography. Check them both out for their own flavors. Much love from our family to yours. 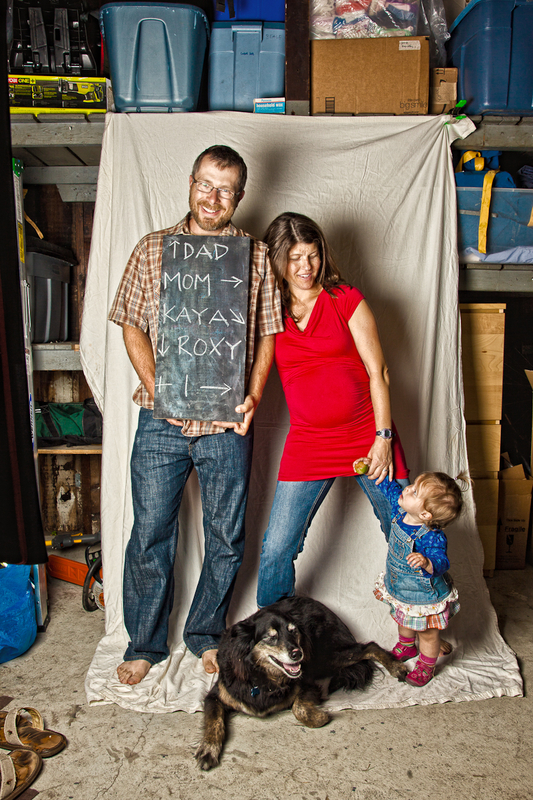 Unquestionably, one of the best family portraits I have EVER seen. Love the humor!! !